In this lesson we explore backgrounds and how they bring our blank canvasses to life. We can use a colour for the background or an image that can be attached, positioned and repeated as required. We look at the CSS background properties that let us do this and increase our knowledge in this lessons practical. Specifies the background colour for an element. Specifies whether the background image is fixed or scrolls. Specifies the background image for an element. Specifies the position of a background image within an element. Specifies if and how a background image is repeated. 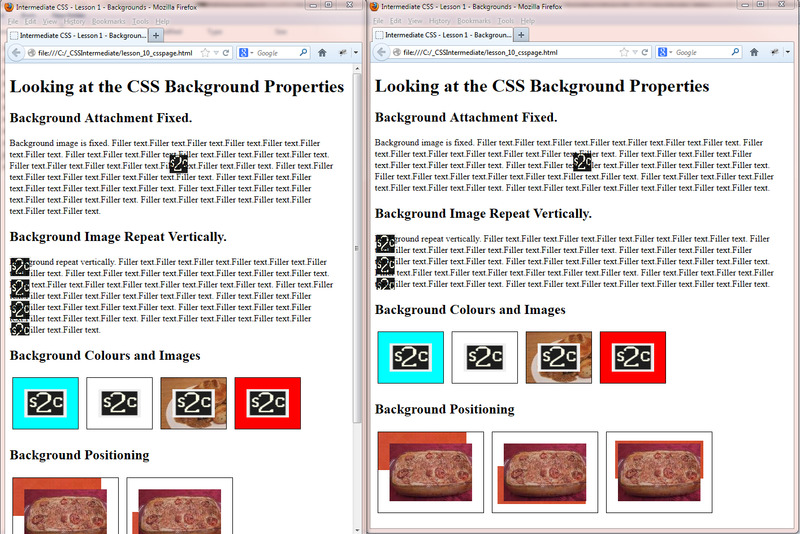 Shorthand CSS property for specifying the other background image properties. click the Folder option and call the folder _CSSIntermediate and press enter. Let's take a look at the background properties available to us in our first CSS intermediate practical. Ok, with Notepad or a similar text editor open, copy and paste the following code into the editor. Click file from the toolbar and then click the save option. In the Save in: tab at the top make sure you are pointing to the _CSSIntermediate folder we created above. 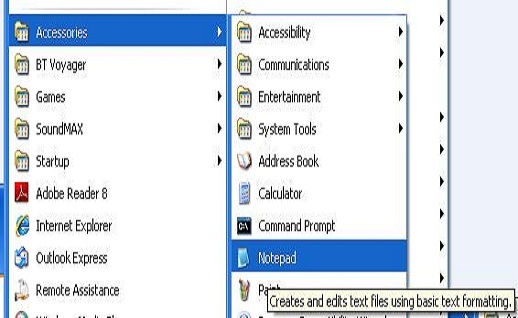 In the File name: text area type lesson_1_csspage.html and then click the Save button and close the Notepad. The .html file extension lets the system know that this is a hypertext document, you must save the file with this extension to view the document in your default web browser. If you do not save the file with the .html file extension Notepad and other text editors save the file with the .txt file extension. This will stop you viewing the file in a web browser. We are using two screens to show how the first image remains fixed in place. In the first section we have set some filler text and have fixed a background image in position. If you look at the screenshots above you can see that when we scroll the image remains fixed in place. We have used percentages here which can be difficult to use: if you can get away with using keywords or precise measurements values to position your images, use them instead. The percentage is proportional to the styled element we are using, a paragraph in this case. If you rezise the window although the image is fixed it will still move in proportion to its containing element, the browser window. In the next paragraph we are using an image and repeating it along a vertical axis. The first set of four images we are using a background colour on the first two images and a background colour and background image on the next two. A point of interest here is that the last images background image isn't found so the background colour is visible. It's often good practice to specify a background colour as a 'fallback' for when an image isn't available. In the final three images we are using background positioning with precise measurement values to put a background image in place. Play around with the code and change some of the CSS to just use the CSS background shorthand property. The properties can be entered in any order when using this, but personally I find putting the uri in before the other properties makes the CSS more readable. Resize the screen as well so you can see how percentages affect the fixed position in our example. In the next lesson we pay a final visit to the 'box model' and investigate box model dimensions.